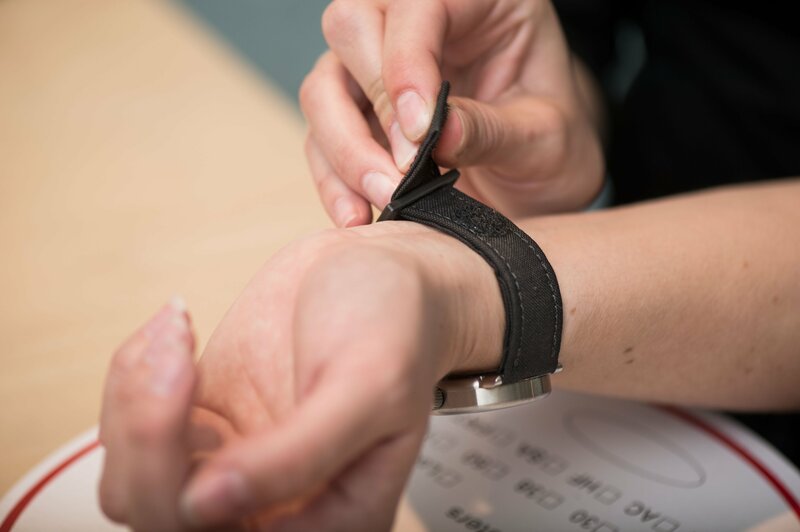 For the strap of the ultra-light carbon fiber watch which we developed in collaboration with the Lucerne University of Applied Sciences and Arts, we needed a material that was not only extremely light, but also comfortable to wear and easy to use. 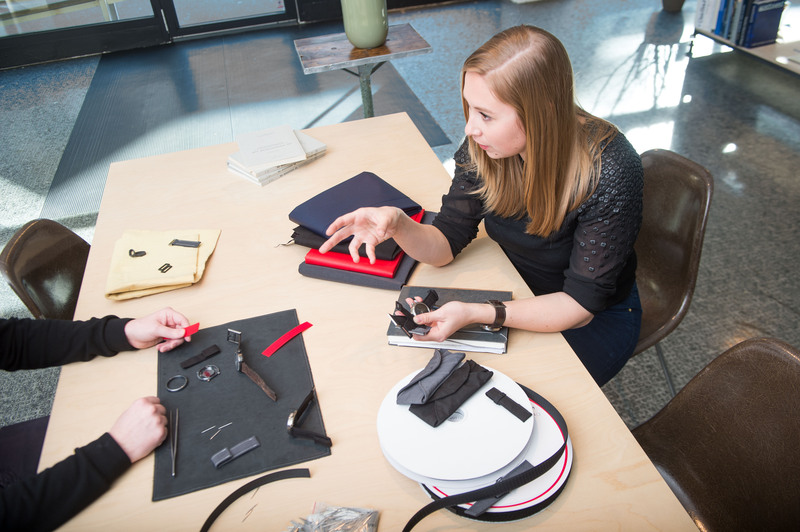 Working with Sabina Brägger, our textile designer and leather expert, we developed a textile watch strap. Sabina Brägger chose a nylon weave made in Germany by the company Cordura for the outside; the same material is also used in the production of work clothes that are subject to heavy wear as well as for strap systems and harnesses. 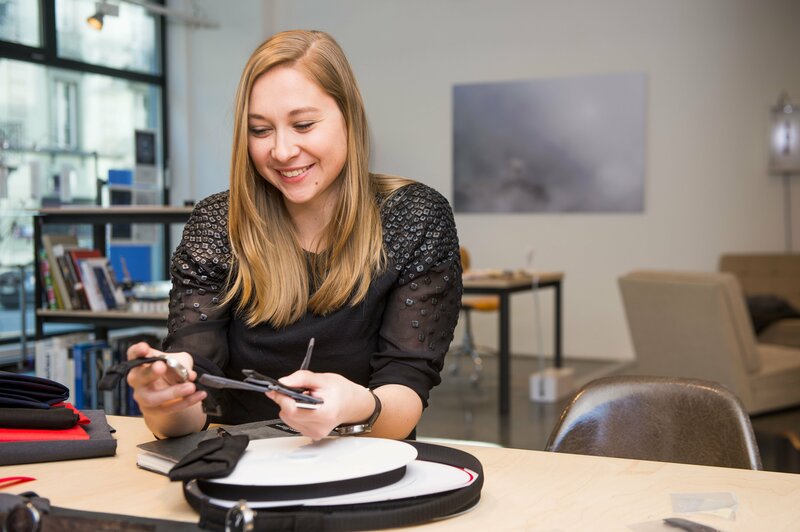 To insure that the straps were comfortable, Brägger added a Kevlar core – light as a feather, tear-resistant, and self-adjusting to the wearer’s wrist, the core’s material is typically used for bulletproof vests. 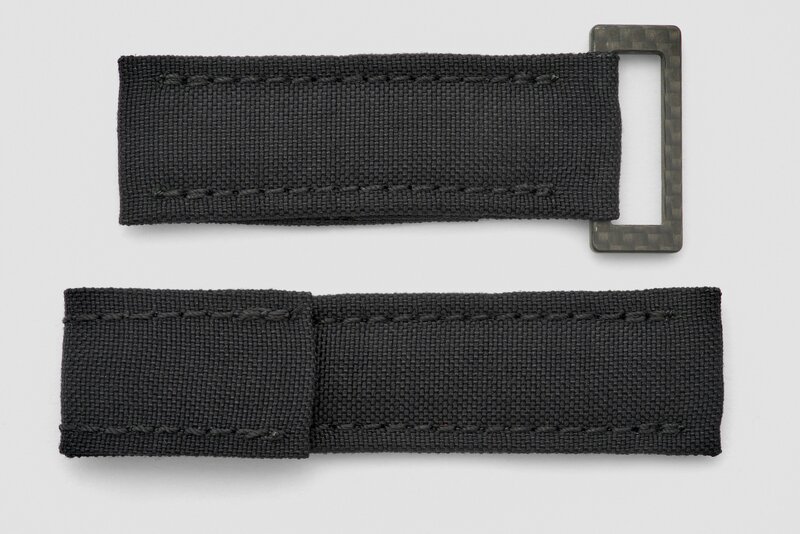 The strap is fastened either with a round piece of Velcro (non-adjustable, the strap is tailor-made to save as much weight as possible for the LIGHT watch) or, on request, with a larger, rectangular piece of Velcro (adjustable). The buckle, which is a loop, is sewn directly into the strap and can be reused if the strap has to be replaced. The loop is manufactured by Peter Cantieni and is available in carbon fiber, titanium, coated titanium, or sterling silver 925. The strap is available in the colors black, grey, khaki, dark blue, and red. The prices for the textile watch strap are: CHF 400 (buckle in titanium or carbon fiber), CHF 450 (buckle in sterling silver 925). Replacement strap: CHF 200 (reusing the buckle). Would that type of strap also work as a belt? We wanted to try this out – and the resulting belt has now already been worn for the past couple of weeks! However, instead of Kevlar, Sabina Brägger opted for a fabric that is normally used for the textile roofs of convertibles. 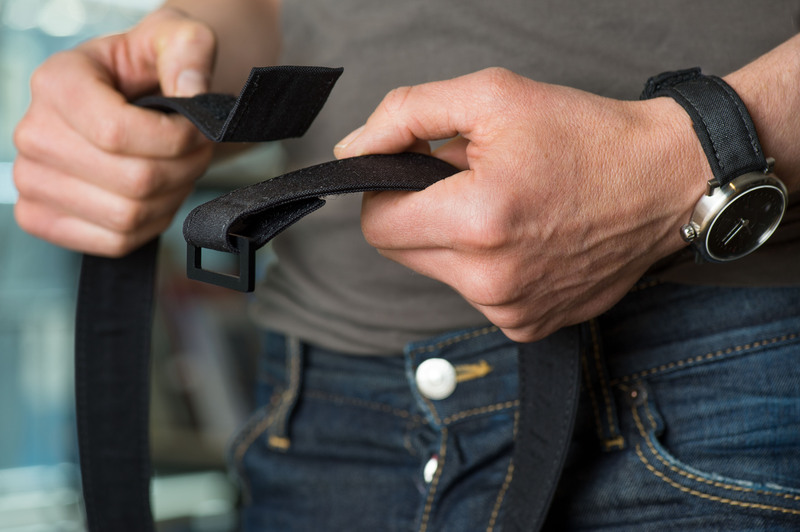 The carbon fiber buckle, milled by Peter Cantieni, combined with the adjustable Velcro fastener, make this belt extremely fast and easy to use. 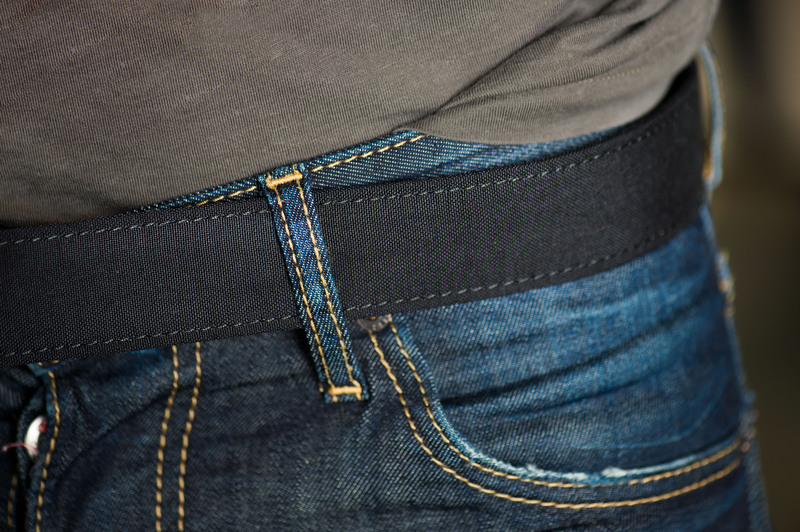 And even better: since there is no metal on this belt, you might not even have to take it off before boarding that next plane!